(SitNews) - This year marks the 100th anniversary of the great influenza pandemic of 1918. Between 50 and 100 million people are thought to have died, representing as much as 5 percent of the world’s population. Half a billion people were infected. 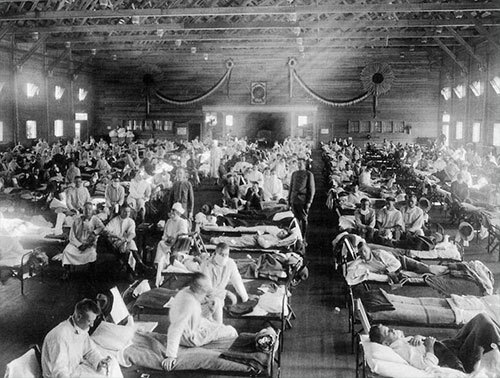 Influenza victims crowd into an emergency Army hospital near Fort Riley, Kansas in 1918. Richard Gunderman is Chancellor's Professor of Radiology, Pediatrics, Medical Education, Philosophy, Liberal Arts, Philanthropy, and Medical Humanities and Health Studies at Indiana University, School of Medicine.